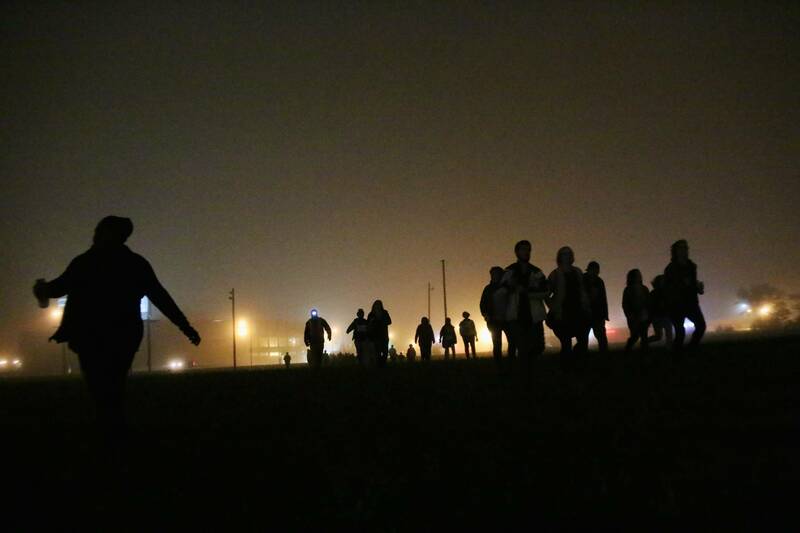 Protesters run across a field in St. Louis, in the early hours of Monday, Oct. 13, 2014. The Sunday-night protest demanded justice for a series of police killings, including Michael Brown, shot by officer Darren Wilson in Ferguson, Aug. 9, 2014. 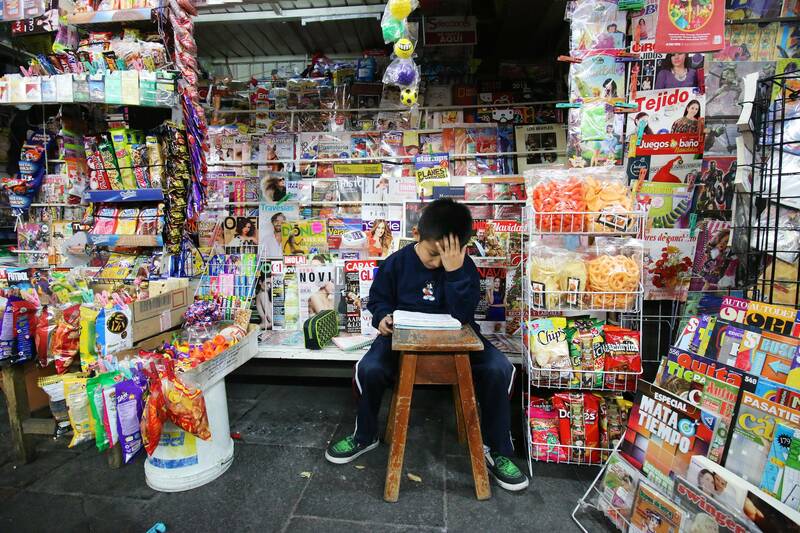 A boy studies, sitting in a kiosk in the streets of Mexico City, D.F., Friday, Nov. 21, 2014. 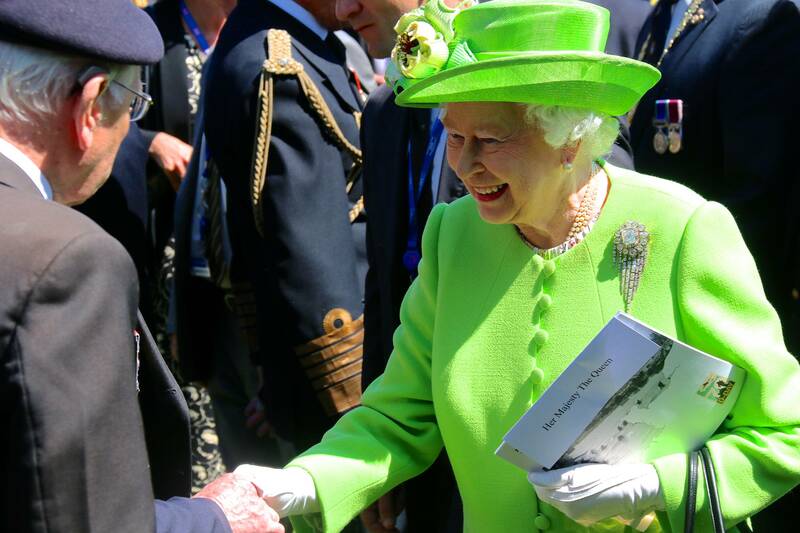 Her Majesty Queen Elisabeth II greets a veteran after the Franco-British Ceremony of the 70th anniversary of D-Day, on the Bayeux Cemetery in France, June 6, 2014. 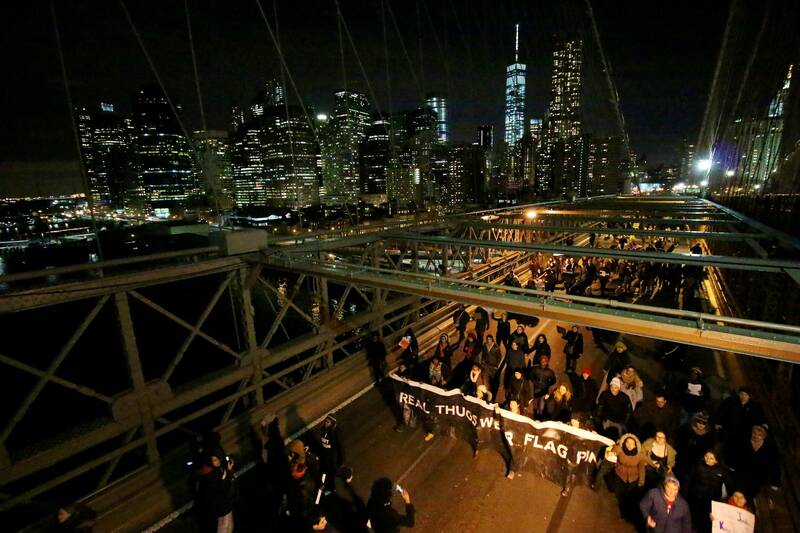 Protesters take to the streets on Brooklyn Bridge in New York to protest Grand Jury decisions not to indict policemen in the deaths of Michael Brown and Eric Garner, In New York City, Dec. 13, 2014, after an organized march earlier that day. 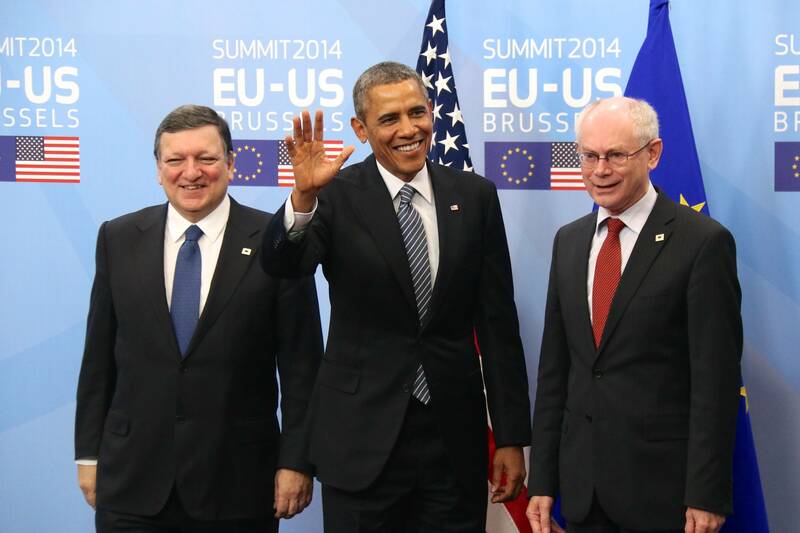 Barack Obama greets a crowd of waiting journalists ahead of the EU-US-Summit in Brussels, Belgium, March 26, 2014. He was welcomed by European Commission President José Manuel Barroso (left) and the president of the European Council, Herman van Rompuy. 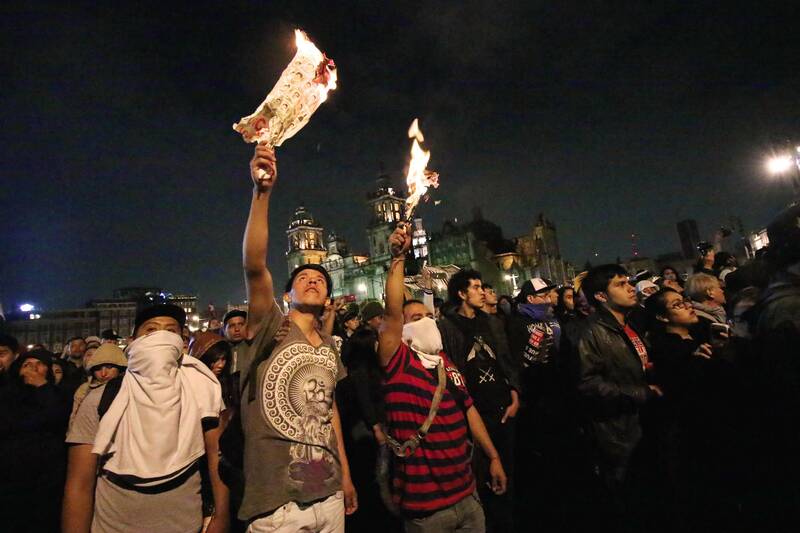 Protestors waive burning paper at a rally in Mexico City, D.F, Nov. 20, 2014. The rally, coming after similar, partly violent demonstrations in the country since the disappearance of 43 students in Guerrero State, was primarily against president Enrique Peña Nieto, asking him to step down. 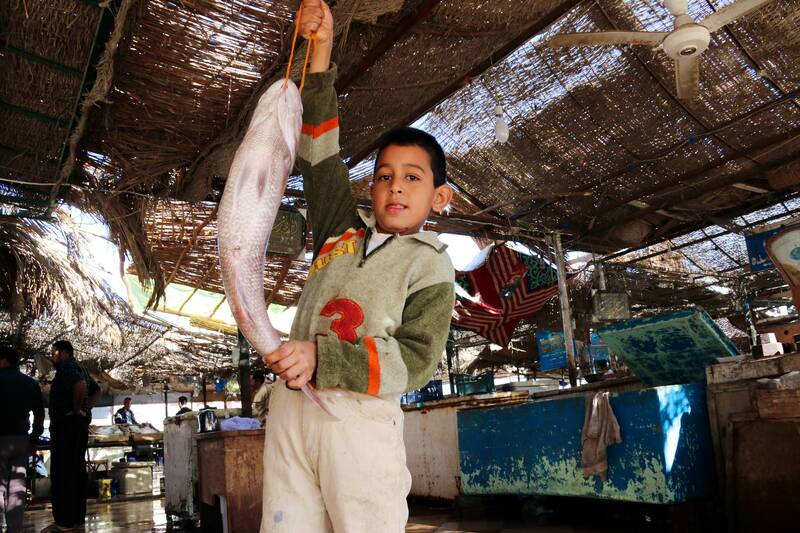 A child holds a fish in El Quseir, Egypt, Jan. 3, 2014. 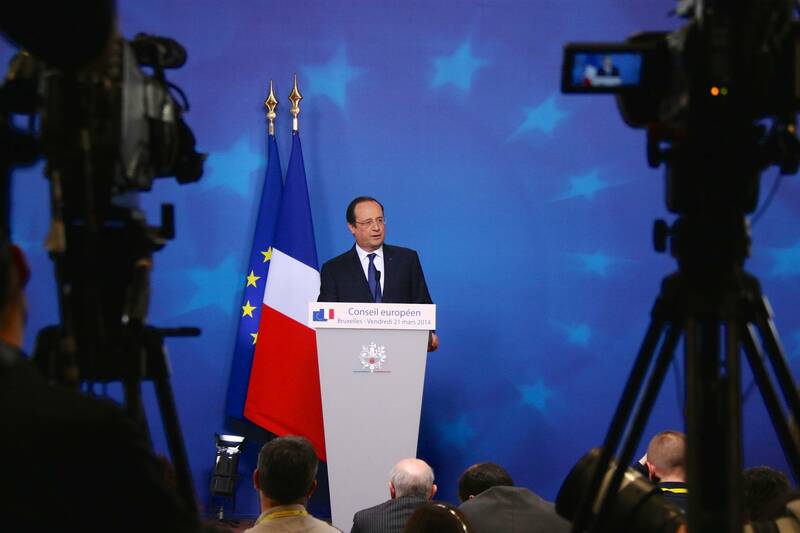 Francois Hollande, President of France, speaks after the European Council in Brussels, March 21, 2015. 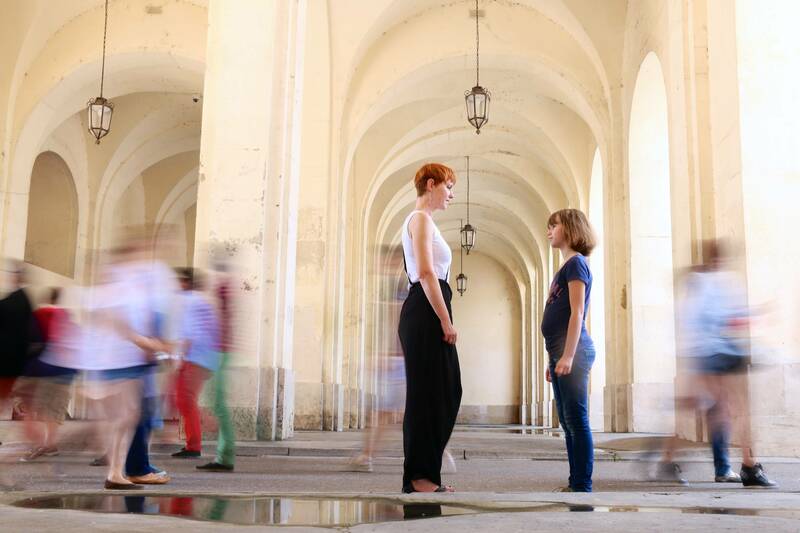 Mother and daughter stand as people pass by in Nancy, France, May 18, 2014. This picture is part of a themed series that won the « Collégiades 2014 » (Sciences Po) award in photography. 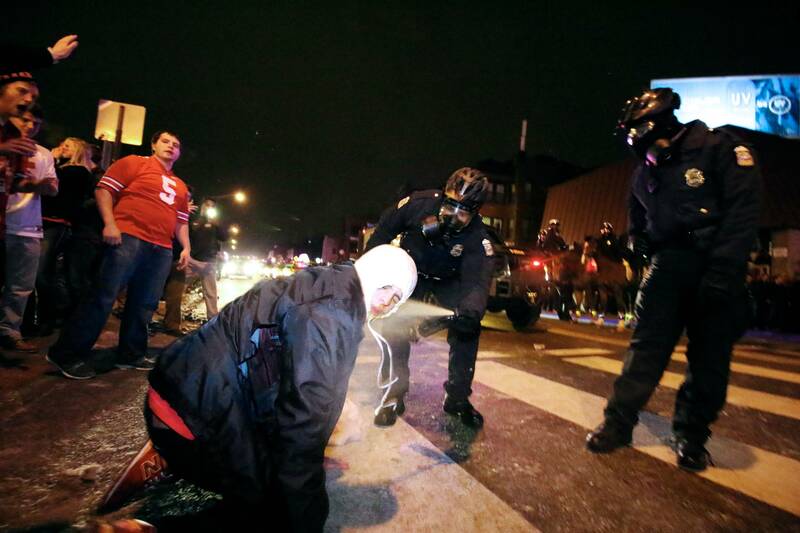 Police control a fan with pepper stray in Columbus, Ohio, Jan. 12, 2015, as crowds took to the street to celebrate Ohio State’s victory at the Football National Championship game in Texas. 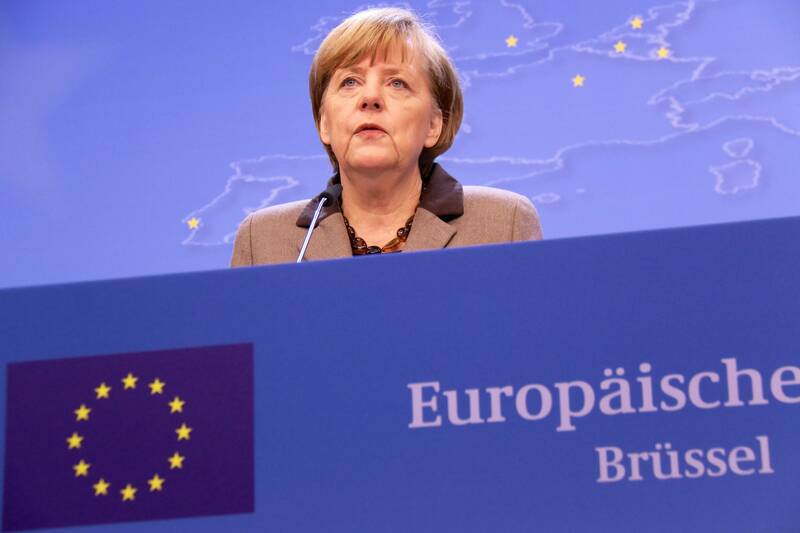 German Chancellor Angela Merkel speaks after the European Council in Brussels, March 21, 2014. People walk away from clouds of tear gas in Columbus, Ohio, Jan. 12, 2015, as crowds took to the street to celebrate Ohio State’s victory at the Football National Championship game in Texas. 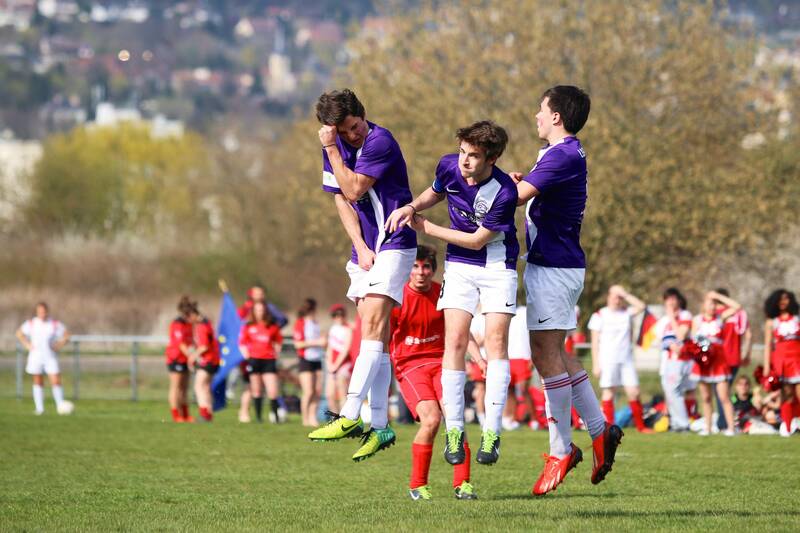 Players from Reims brace as a player from Nancy shoots during an inter-collegiate competition in Nancy, France, March 29, 2014. « Syphilis outbreak reported in Columbus, » The Lantern TV, November 16, 2014. « Protestors hit the streets of Columbus, » The Lantern Multimedia, December 9, 2014. The corresponding article by Rubina Kapil, featuring my photos and video, can be found on thelantern.com. 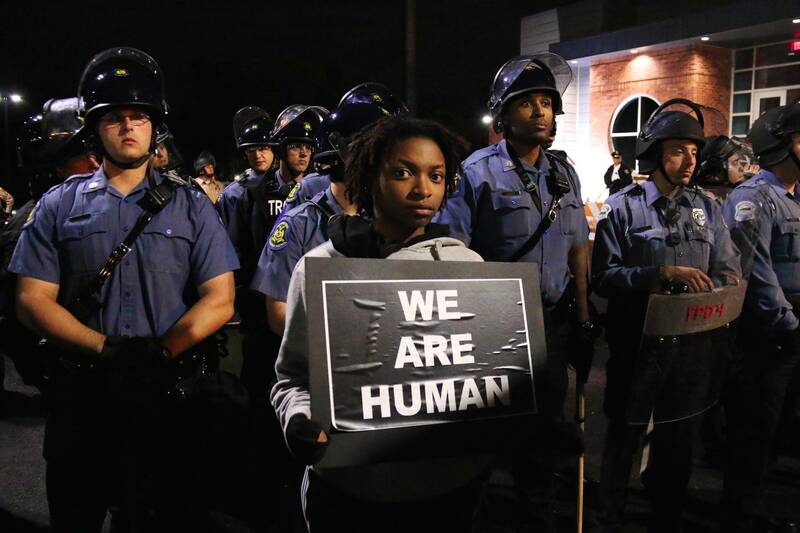 « Hip-Hop artist Tef Poe arrested inside Walmart, » Ruptly News Agency, Ferguson, Missouri, Oct. 13, 2014. I contributed footage from inside Wallmart. All photographs © Yann Schreiber. Any reproduction or distribution is subject to approval.